Welcome! The lobby of the Deranged L.A. Crimes theater is open. Grab a bucket of popcorn, some Milk Duds and a Coke and find a seat. 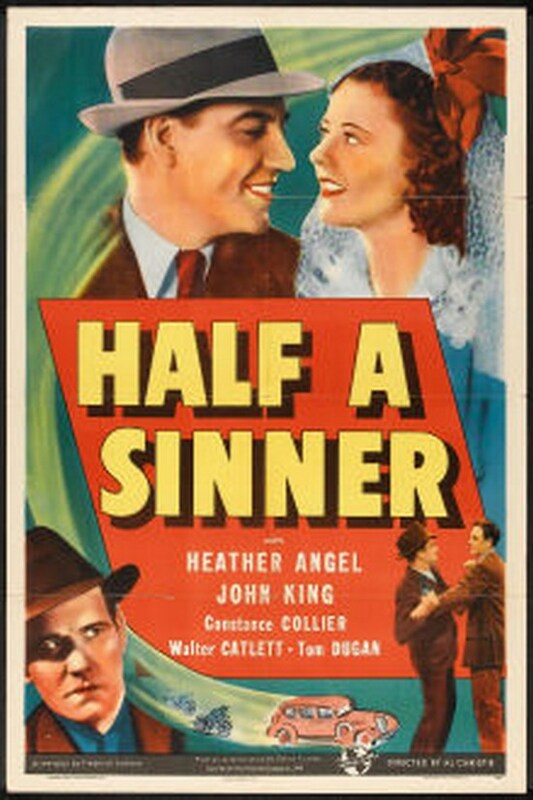 Tonight’s feature is HALF A SINNER, based on a story by Dalton Trumbo. The message is carpe diem, and who can argue with that? It’s all fluff, no substance, but fun. The film stars Heather Angel and John King. Ignoring the advice of her crochety old grandmother, straightlaced schoolteacher Anne Gladden decides to discard her glasses, buy a new outfit and relish one day of freedom doing exactly as she pleases. Things don’t work out exactly as she has planned, however, when, to avoid the unwelcome advances of a gangster, Anne jumps into a parked limousine and speeds away. Unknown to Anne, the car is stolen and a dead body is stashed in the back seat. NOTE: There are a couple of commercials, but you can skip them. I put up with the minor annoyance because it’s a good copy of the film. Congratulations to T. Campbell and C. Fenton, winners of the mother! ticket giveaway. Enjoy the movie, and pass the popcorn! Thanks to Paramount Pictures, I have two pairs of tickets to give away for the movie mother! The passes will be good for any Cinemark theater playing the film in the Los Angeles area beginning Monday, September 18, 2017. The passes will be honored on weekdays only (excluding holidays). Submit your information by 6 pm Pacific Time on Saturday, September 16, 2017 for a random drawing. Winners will be announced on Sunday, September 17, 2017. Welcome! The lobby of the Deranged L.A. Crimes theater is open. Grab a bucket of popcorn, some Milk Duds and a Coke and find a seat. 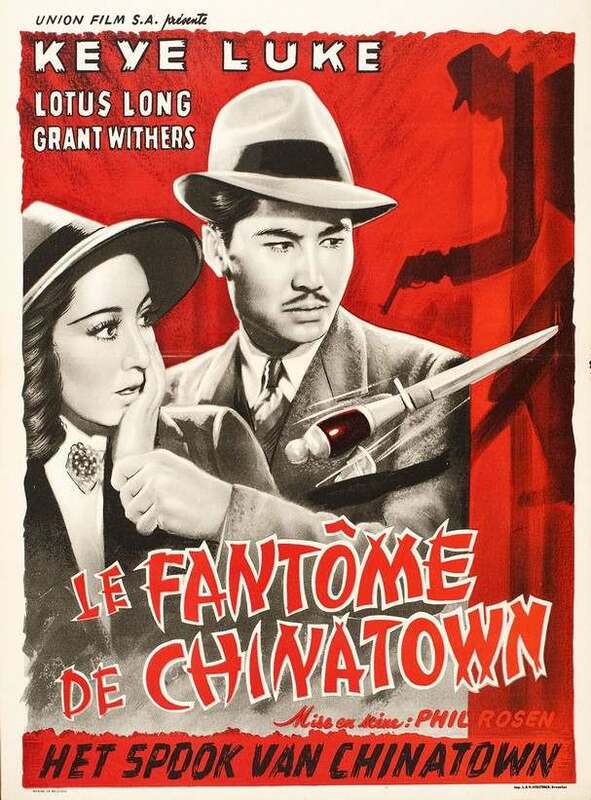 Tonight’s feature is PHANTOM OF CHINATOWN starring Keye Luke, Lotus Long and Grant Withers. Dr. John Benton, in San Francisco following an archaeological expedition in the Mongolian desert, gives a film presentation for his colleagues. The film shows his discovery of the precious ancient tomb of a Ming emperor, for which archaeologists have been searching for centuries. The tomb contains a scroll that tells the secret of the Temple of Eternal Fire, which is of great financial importance to China as it could reveal an enormous untapped reserve of oil. The film of the trip shows a violent windstorm that erupted when the tomb was opened, in keeping with an ancient curse. Mason, the co-pilot on the trip, was lost during the storm, and the expedition party was forced to continue on without him.